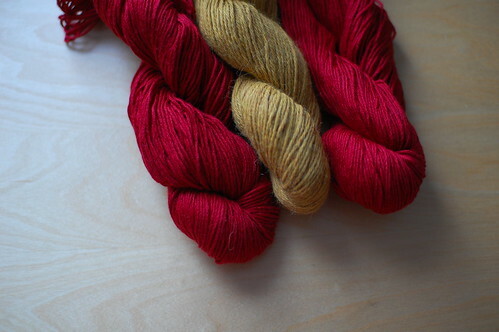 I love the colors you chose for the HP scarf–they’re not quite as overwhelming as “varsity” type colors. Can’t wait to see more gift knitting! I immediately thought HP when I saw the two colors, but did not expect that it would be that easy ;-) I love HP!!! 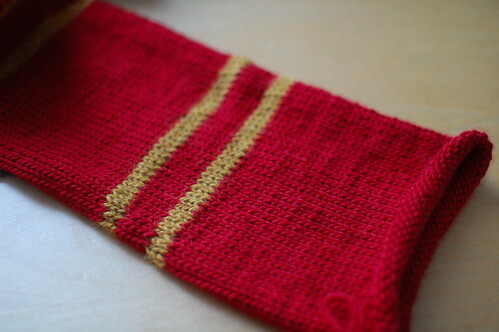 Gryffindor is the only HP scarf color set I haven’t made. I really love mine (Ravenclaw), because it is super thick and warm! My HP scarf is looking a little sad (worn much and several years old). 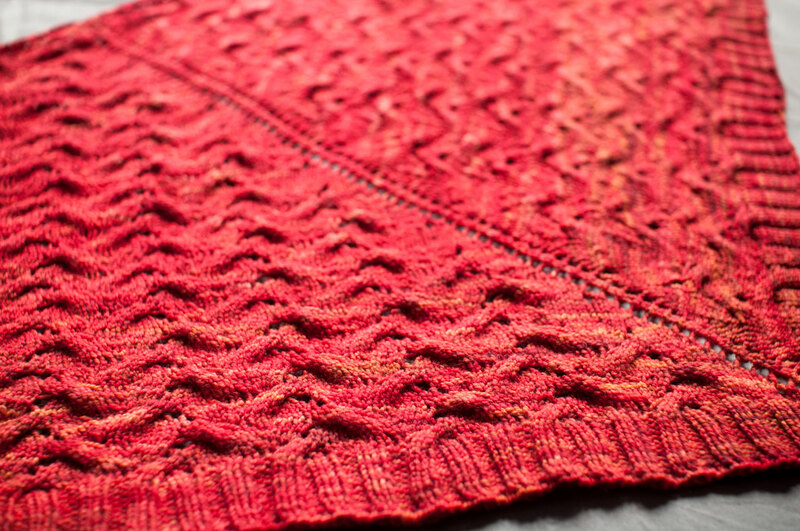 It might be time to knit a new one.